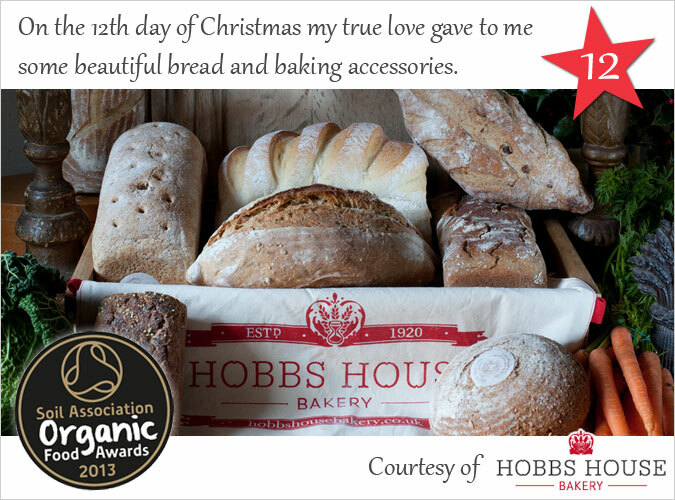 Enter today’s 12 days of Christmas competition to be in with the chance of winning a some beautiful baking products from Hobbs House. Try their own beautiful baking with a Sample Box of 8 popular breads, complete in cloth bag and with freezer bags included, and try your hand at bread-making with a signed copy of the Fabulous Baker Brothers Book and a Large Bread Tin. This prize is worth £58.50. Hobbs House Bakery is a family business with five generations on baking experience. Using traditional methods, their expert team of bakers continue to produce an exceptional range of award winning breads, pastries and confectionery to the very highest standards. Their aim is to ensure that there is a solid future for REAL BREAD.